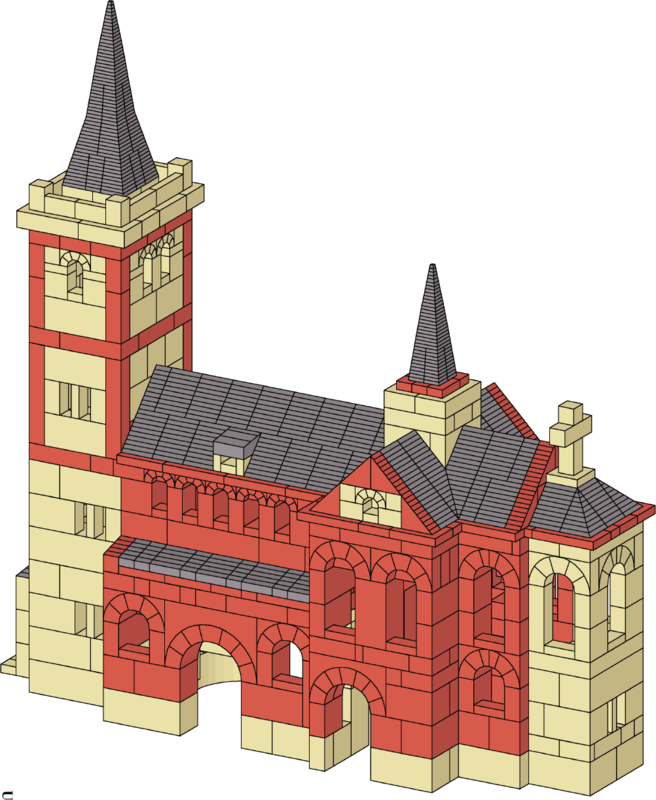 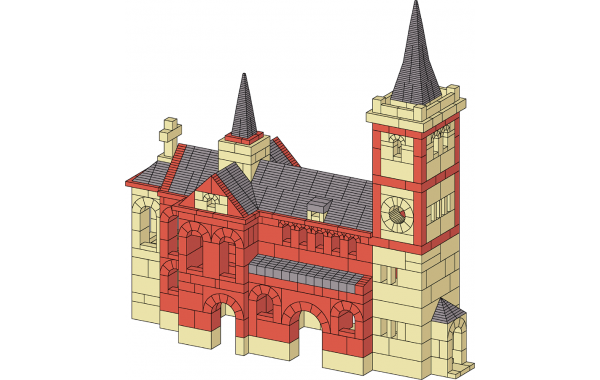 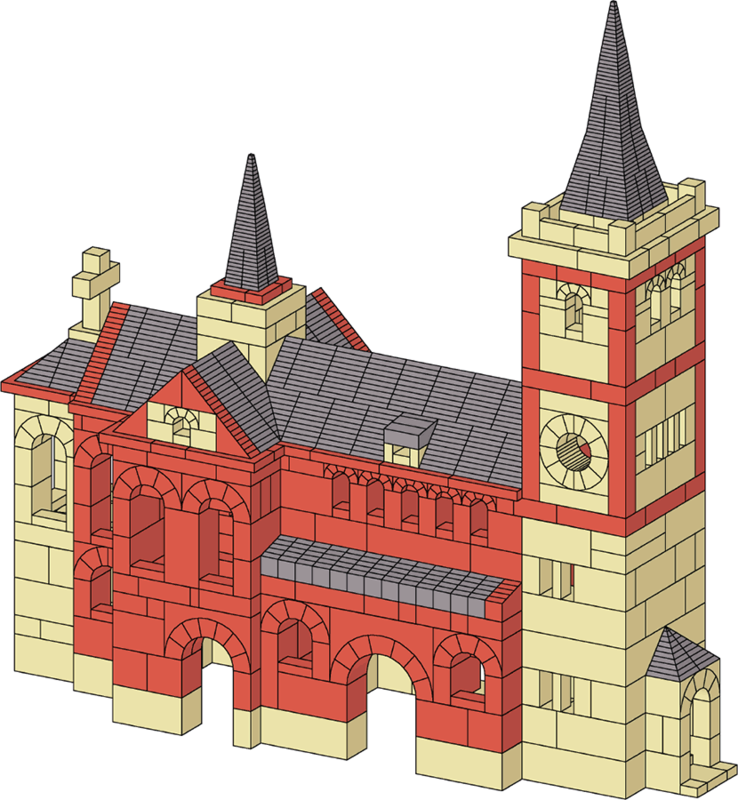 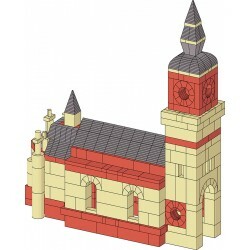 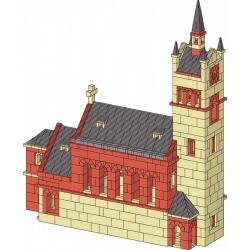 An architectural plan for the Odenthal church of Saint Pankratius includes elevation and sectional drawings. 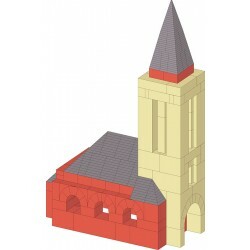 The church was built in the 11th century. 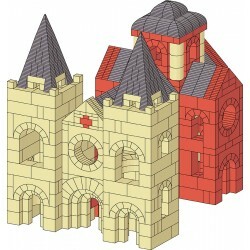 The design has a cross shaped nave, multiple entrances, and a four story bell tower.